True or false: this person was once elected governor of a major American state. Is the "Jailhouse Rock" joke too obvious? 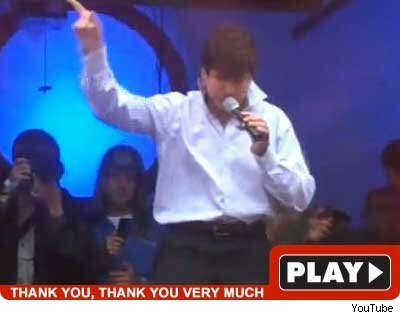 Oh, well: Blagojevich, who has steadfastly refused to lay low while awaiting trial on corruption charges, should probably start practicing "Jailhouse Rock" instead of this song. Although now that I think about it, it is pretty comical to think of him performing "Treat Me Nice" in prison.